The orthopedic surgeons at Virginia Mason are part of a highly skilled team that specializes in the diagnosis and treatment of bone cancer. Virginia Mason has achieved a rate of bone cancer recurrence that is two-thirds below the national average of 8% percent to 10% percent. Growths or tumors in bones develop for any number of reasons and can be either benign or cancerous. Most bone tumors are painless noncancerous growths that result from an abnormal development of cells. When a bone tumor is cancerous it is either a primary cancer (a cancer that originates in bone) or cancer that has spread to the bones from another site in the body. Tumors also can originate in the connective tissue and spread to bones. Bone tumors are diagnosed during a medical history and physical exam, which may include X-rays, blood and urine tests, and a needle or surgical biopsy of the growth. Depending on the tumor's location, a biopsy of the tumor tissue is performed as an outpatient procedure in your doctor's office or in the operating room. A pathologist (a specialist who looks at cells under a microscope) will determine if the growth is cancerous. Virginia Mason's orthopedic surgeons specialize in treating patients with primary bone cancer, with outcomes that are better than national rates for length-of-stay in the hospital, recurrence and mortality. Virginia Mason also specializes in limb reconstructive surgery following treatment for cancer. Surgery to remove a cancerous bone tumor is performed under a general anesthetic in an operating room. Your orthopedic surgeon will work with a team that includes a vascular surgeon to repair blood vessels and a plastic surgeon who specializes in soft tissue (muscle) transplants. Your surgeon will remove the tumor as well as a margin of normal tissue around it. Depending on the tumor's size, location and the extent of reconstruction required, the surgery will take two to eight hours. Prior to the operation, your surgeon will discuss with you limb reconstructive surgery. With today's techniques, patients have more choices for preserving their limbs with reconstructive surgery and fewer amputations are necessary. In most cases, benign bone tumors are watched and not treated unless there is a risk of a bone fracture or if the growth is putting pressure on a nerve or blood vessel. In these instances, the tumor will be surgically removed. Some bone tumors may be treated with medication only. It is possible that a benign growth or tumor can later become cancerous. It is also possible that a tumor that has been removed will grow back. Osteochondroma is the most common form of benign tumor growth in bones. It results from the abnormal growth of bone and cartilage during skeletal development and primarily affects children, adolescents and young adults. Surgery is usually not recommended until skeletal growth is completed to help ensure that the growth will not return. Symptoms of cancer such as fatigue, weight loss, fever and shortness of breath. The American Cancer Society estimates that approximately 2,570 new cases of primary bone cancer will occur each year. In comparison with other types of cancer, bone cancer is not common, affecting children more often than adults. Cancerous or malignant primary bone tumors include osteosarcomas (the most common), Ewing's sarcoma, chondrosarcoma and fibrosarcoma. Fibrosarcoma arises in a particular type of cell (mesenchymal) in collagen, a connective tissue in the body. Fibrosarcomas can originate in soft tissue or in bone and are seen most often in the long leg bones near the knee, in the arm and hip. It occurs most often during middle age and is slightly more common in men than women. It is a rare type of bone cancer. Treatment for primary bone cancer is surgery either before or after chemotherapy (and/or radiation therapy). Patients may be started on a course of radiation therapy or chemotherapy first to shrink their tumors so that they are amenable to surgery. Virginia Mason's orthopedic surgeons also perform surgery in patients who have other types of cancer that has spread to the bones. Surgery in these cases depends on the type of cancer, its location, how advanced it is, how aggressive it is and the age and functional status of the patient. Additional treatment may include radiation therapy and chemotherapy, alone or in combination. 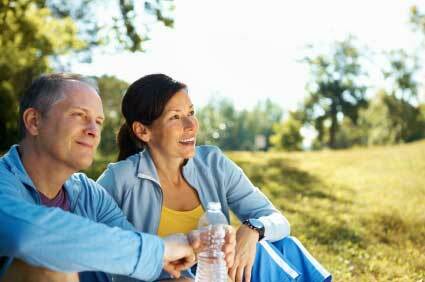 To schedule a consultation about bone tumors call (206) 341-3000.